Living in upstate New York in the winter gets old, especially if you aren’t a winter type person. Don’t get me wrong, this has been a reasonable winter so far. Average temperatures and snow falls in December and January made it tolerable. But somewhere tropical eventually beckons as the long cold season continues. Having friends in Southwest Florida makes that location a natural destination. Of course, we never want to outstay our welcome as house guests, so we like to add an additional adventure to the visit. 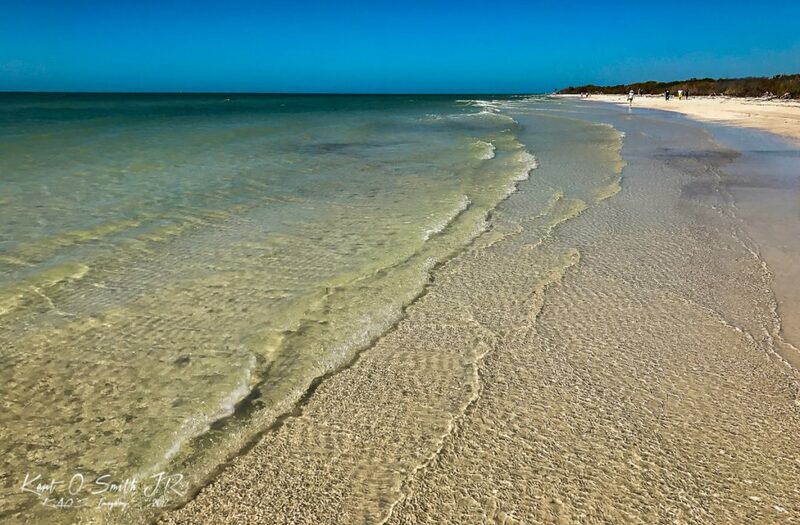 This winter, the plan was to spent a couple days around St. Pete Beach before seeing our friends in Naples. Then, before flying home, drive down to the Keys for a couple of days to complete the vacation. Note the operative word here is “vacation.” Sure it was, but like every other “vacation” I am guilty of hauling too much photography gear in the hopes that I will get out and do a lot of shooting. Just how much gear? Well it takes me several hours to figure out how to pack the main Think Tank bag and cram as much extra stuff as I can into the laptop bag and checked luggage. I even go so far as to photo the equipment in the bags with my iPhone so I am sure I can pack everything up the same way for the return trip. Well, the morning of the trip arrives and we have to deal with a little snow storm, but fortunately we made the flight in time. Direct to Tampa in three hours, we arrive by 10:30AM, and the weather is perfect. First order of business after retrieving the rental car is to stop at the nearest Total Wine & Liquor outlet…after all, we are on vacation! While Marsha goes in to stock up, I change into shorts and a tee shirt in the back seat, then mount a polarizer to the lens, ready to shoot in sunny conditions. Next order of business is lunch. We got up at 3AM to make the flight, the peanuts were not satisfying. We’re starving. But the deal was no fast food, no national franchise restaurants, we’re craving good seafood. 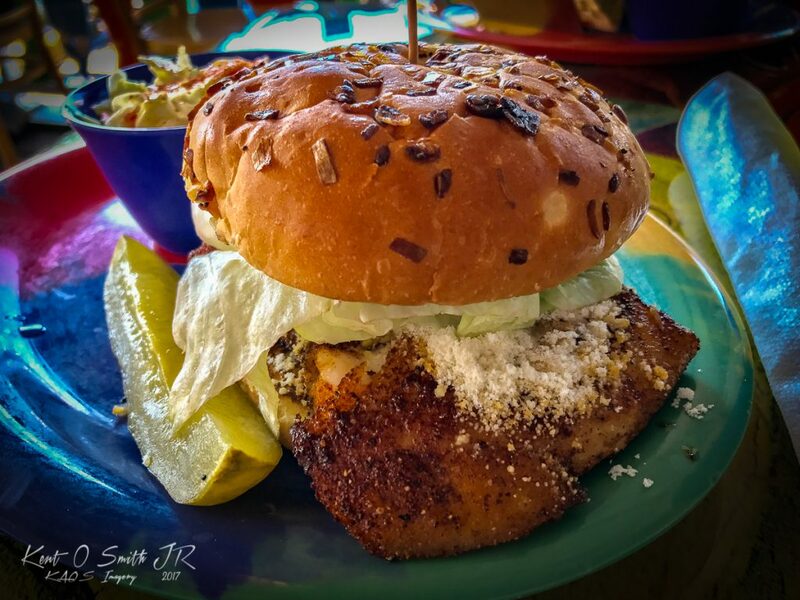 Find me a grouper sandwich! Luckily Clearwater Beach is not far from Tampa International, and smart phones are the bomb when trying find food in unfamiliar places. 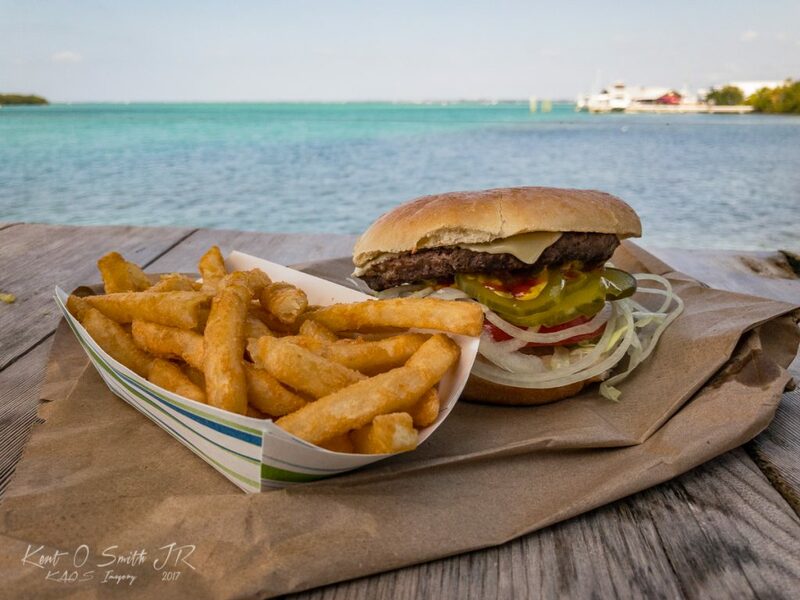 We find Frenchy’s Saltwater Cafe, sounds perfect. Apparently Frenchy is quite enterprising and has a small seafood bar empire in the Clearwater area with numerous locations. Surprisingly, the blackened grouper sandwich and mahi fish tacos were very good. 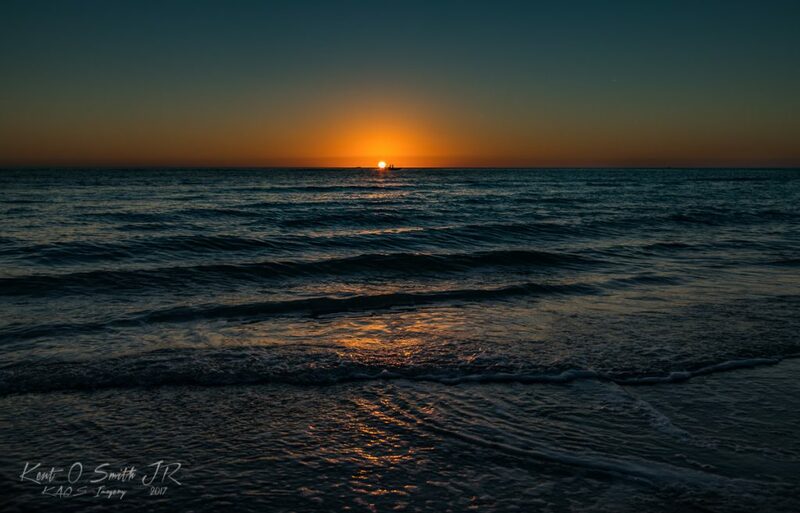 Our bellies content, we headed down Gulf Drive for the final destination, St. Pete Beach. Photographically speaking, at this point I’m exhausted from the travel, so we just enjoy the sites until we arrive at the hotel. Speaking of hotels, we’re used to staying at our friend’s house when in Florida, so I was quite shocked at the pricing for overnight stays during the snow bird season. Before the trip, we spent hours on Expedia looking for a decent place with a decent price, which were few and far between, since we didn’t start the search until a week before departing! In the end, I succumbed to joining AARP for the 10% hotel and rental car discount. Hey, I’m an aging American, I want my discount. 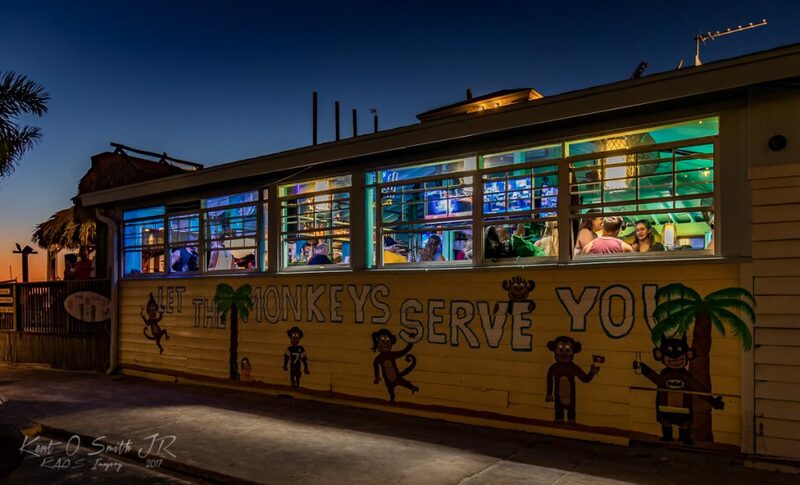 The St Pete Beach area is pretty commercialized, and a day of that was enough. For day two, we planned on heading out to Ft DeSoto State Park, a place we’ve been to several times before and like very much. 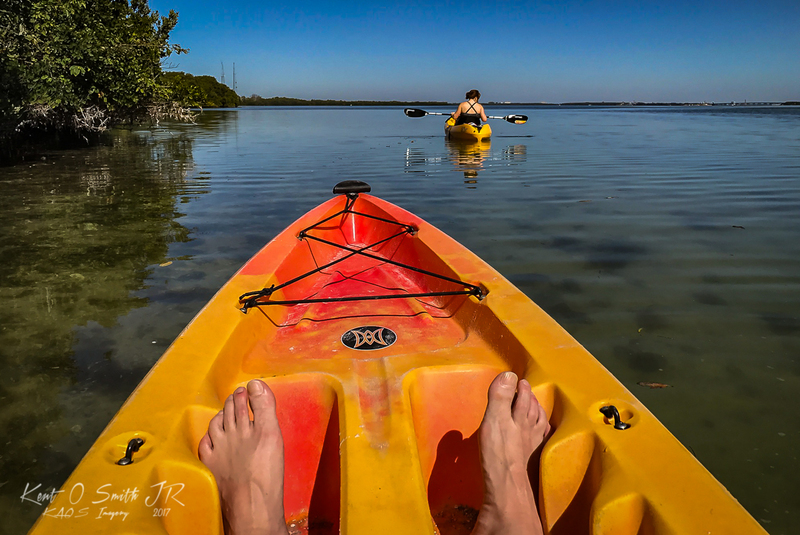 This time we decided to rent kayaks and check out Mullet Key Bayou. Not knowing what the rental yaks would be like, I chose to just bring my iPhone 7, which is *supposedly” water resistant. Once out in the Bayou, calm waters surrounded us and I had no fear of soaking the phone. The water away from the mangroves was also very clear. Fish swam by, the bottom topography was easily visible. A little way off the the left, the water rippled slightly, so we headed that way to see what the cause was. 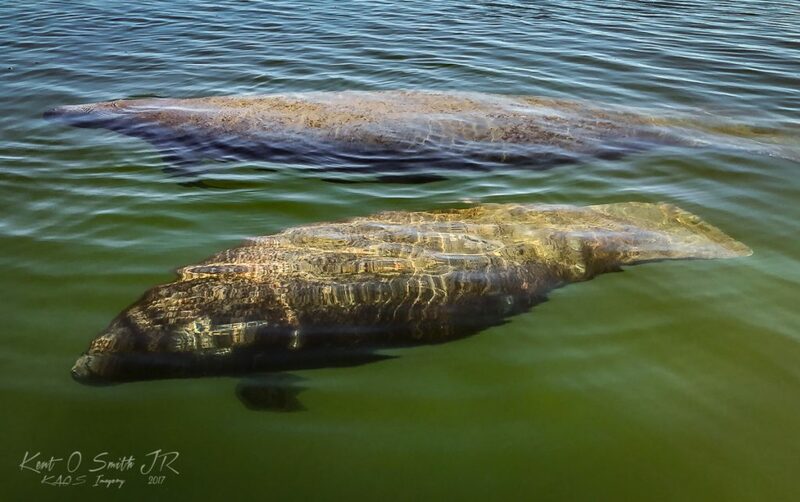 Two shapes loomed into view, turned out to be a momma manatee and her calf, lazily sliding by. I shot some images of them with the i7 using Lightroom Mobile, which allowed me to shoot in RAW format. Several hours of kayaking made us ravenous again, and the next blackened grouper at a local joint was even better than the first. We retired to the hotel for late afternoon cocktails before taking in the sunset on the beach. 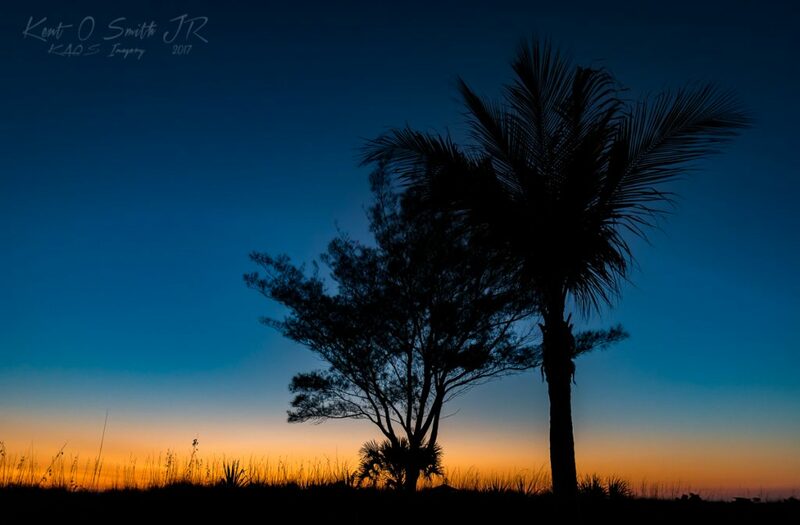 West coast Florida sunsets are great. I never tire of them. We headed out on the beach with take along vodka somethings and my 5D4. Still in vacation mode, I didn’t feel like dragging the tripod and filter set out. Going simple and easy. The sunset didn’t disappoint, though I wished there were more clouds and a better afterglow…but like I said, simple.